Looking for SB02 Series Backshell? SEE and COMPARE the benefits of EA Series 217 Competitive Products! Send us your part numbers. We will cross reference and send you a quote. If you need to verify by drawings then see the PDF button below. Banding backshells are the number selling Adapters today! 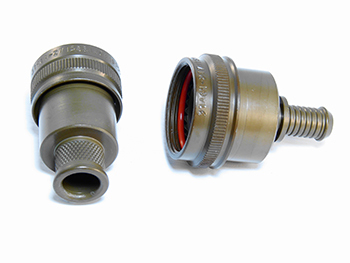 Electro Adapter’s Series 217 EMP banding circular backshell provides an economical approach to terminating overall cable and harness shielding. These backshells utilize replaceable bands for complete EMI/RFI shield termination for low DC resistance. Standard hand Banding Systems work well to attach Electro Adapter 214L1002 Series Bands. Electro Adapter also offers banding tools viewed on our web site. These circular backshell designs are used for quick cable termination with shrink tubing or, adhesive shrink boots. A benefit of this design is field reparability. 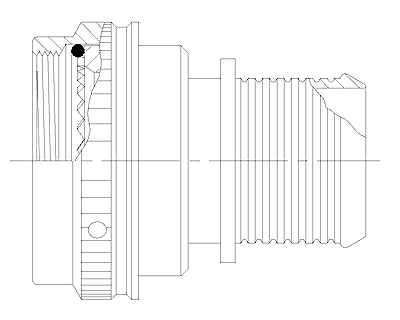 Electro Adapter’s 217 EMP environmental band adapter series has a grooved banding porch and an integrated Boot groove for environmental sealing. Designed to fit most Military connectors the EMP band backshell provides the upmost protection against impinging EMI/RFI environments. Have a noisy mechanical or tight spaced power and signal distribution center? This adapter can fit these types of applications. Available in angled configurations you can utilize this adapter in cable cascading arrangements. Also see our 271 EMI Band Adapter for shorter porch. Molding applications also use this Banding Adapter and band sold separately. An NEW OPTION is Electro Adapter’s Molding Adapter 900-138 which is viewed in our New Product section on the Home Page of our Web Site! Other custom terminations are available and specified in the catalog by category’ pull down menu in the “Products” tab below in the tool bar.